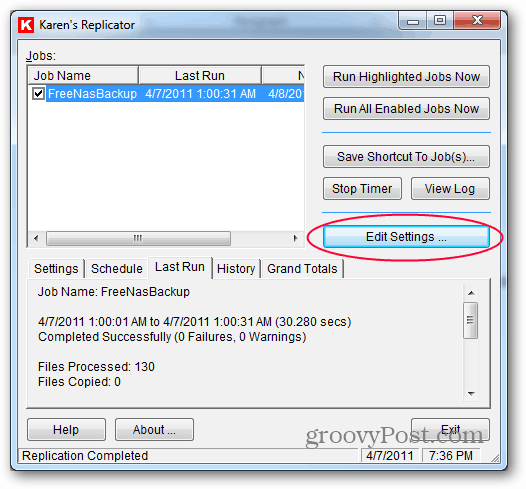 Karen’s Replicator is a program I’ve used for nearly 10 years. It’s stable and does an efficient job copying only the newest files from a location to a destination.This program is the best thing I’ve found for keeping a copy of my critical data. It runs as an application, not a service, so your computer must be on and logged in for it to run. 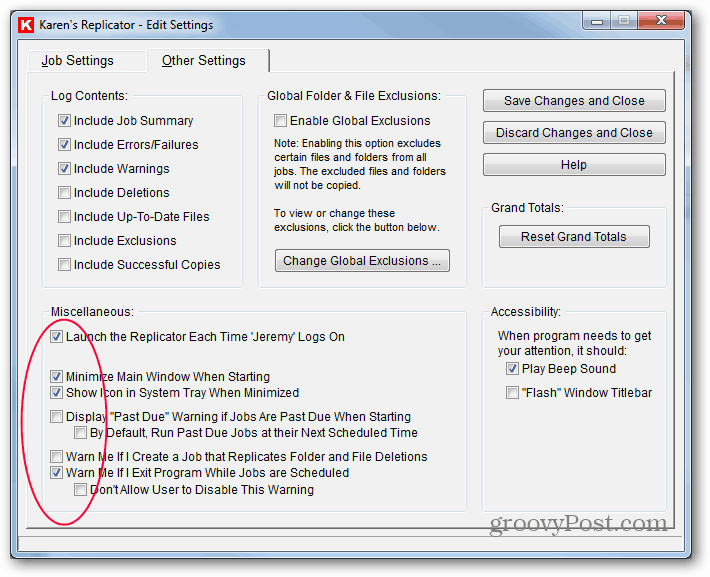 First, download and install Karen’s Replicator on your Windows system. Open the program. Here you’ll notice a backup I already have running called FreeNasBackup. You’ll see a blank configuration screen with a few default settings. 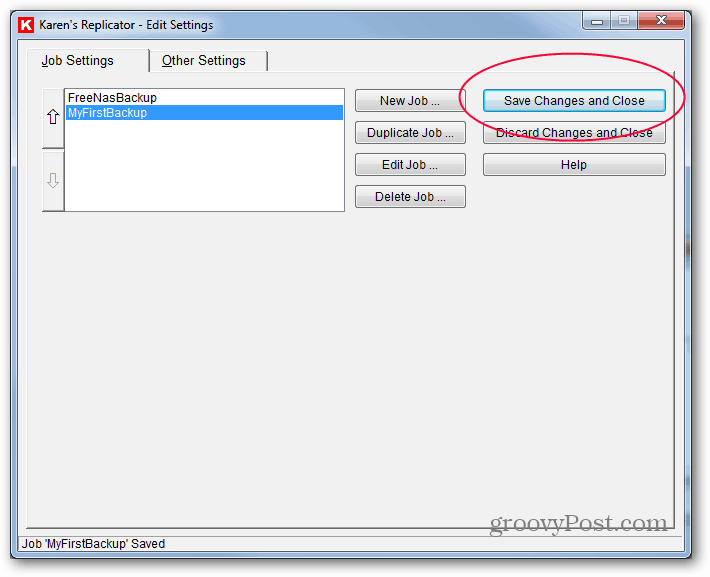 Now, give the job a name – since you may have multiple jobs, I recommend using a descriptive name to distinguish backups. Enter the source location. Feel free to back up a single folder or an entire drive. Enter the destination. 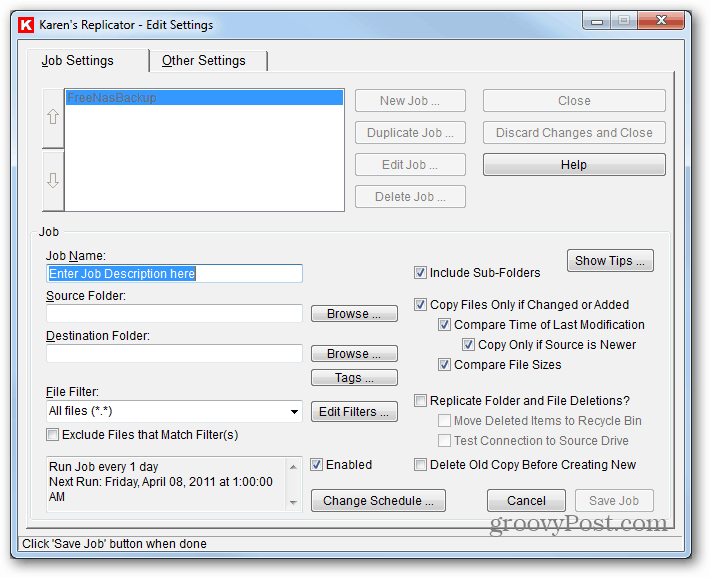 Hint: You can enter folders you haven’t created yet and they’ll be created at the first run of the job, assuming the path is valid and you don’t have permissions preventing it. Make sure your source location has enough space for the files you’re going to copy. This setting is one of the things that makes Karen’s Replicator so great. 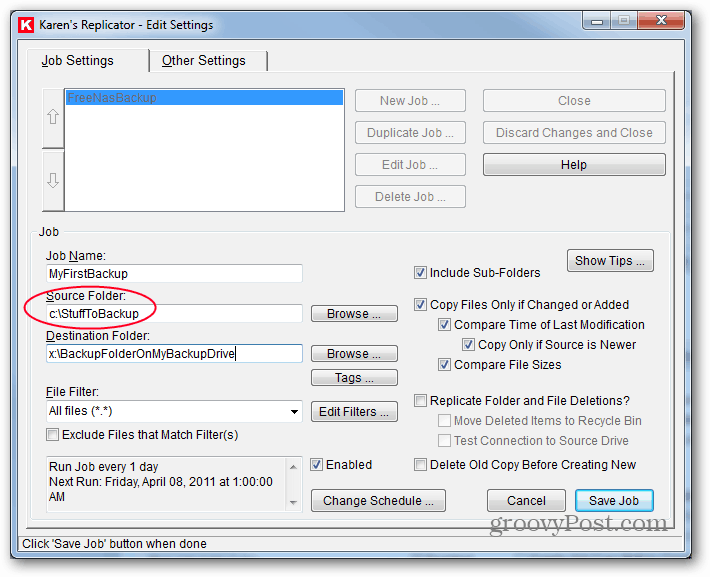 With the option for Copy Files Only if Changed or Added, your second and future backups will only copy those files that are new or changed so it will be faster. I strongly discourage checking the option to Delete Old Copy Before Creating New. 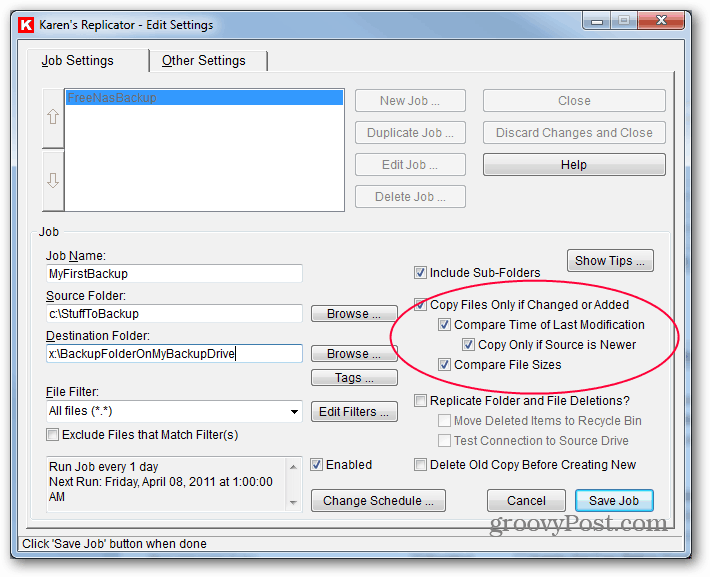 It’s possible that, in the case of an open file, the program sees a file but cannot copy it. 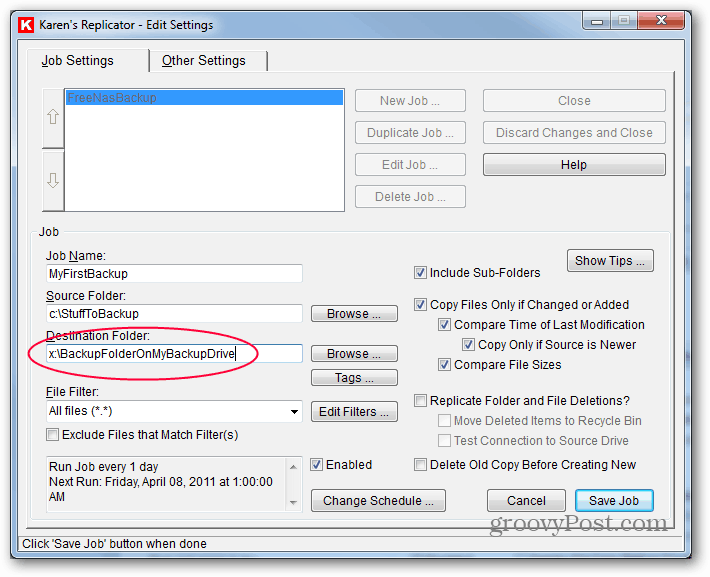 Let the program overwrite the file instead. Now it’s time to set the backup schedule. Click Change Schedule. I’ve set up my backup job to run every day at 1am. 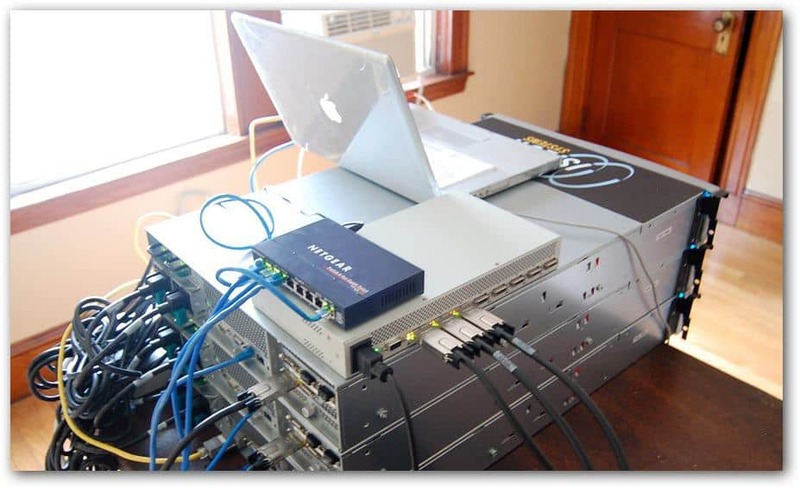 For some jobs with critical data, you may want to have it run every few hours, or every few minutes. 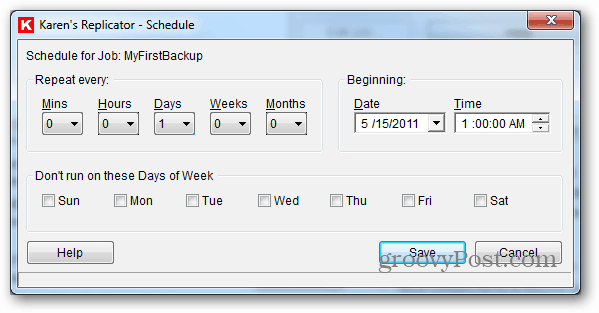 Enter your settings and click Save. This brings you back to the previous screen where you’ll click Save Job in the bottom right corner. 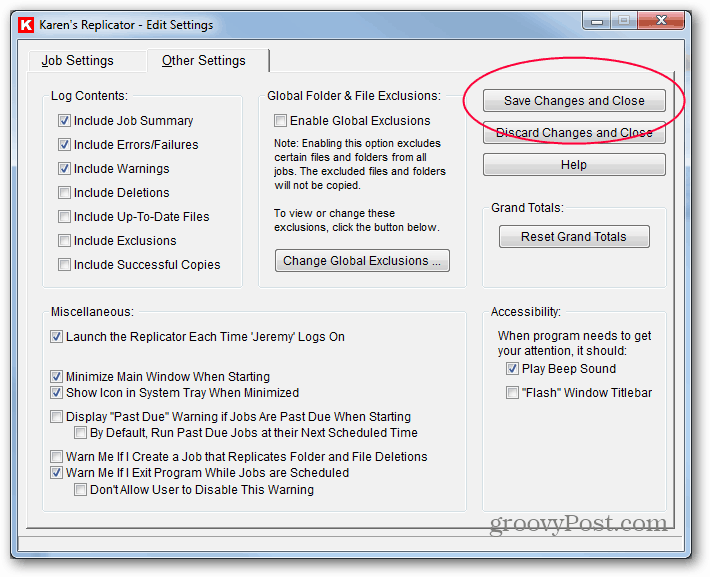 Now click Save Changes and Close. 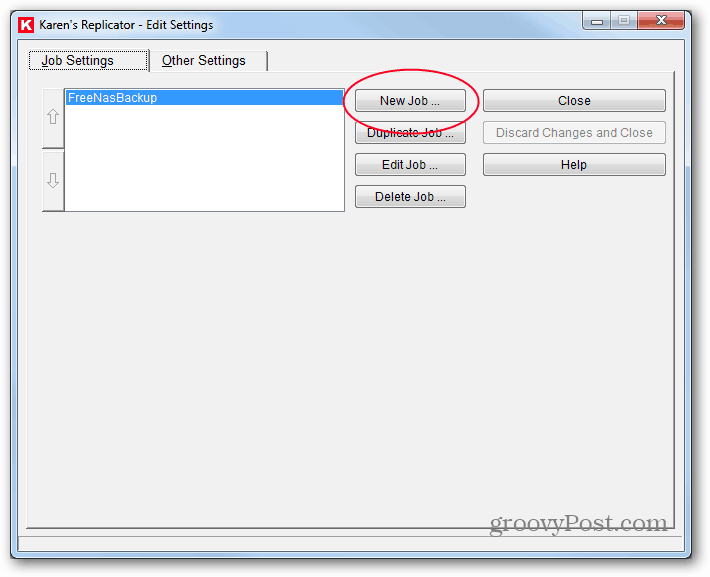 At this point I recommend running the job manually by highlighting it on the left and clicking Run Highlighted Jobs Now. You’ll see a progress bar for each file being copied. Once the backup is finished, poke around in the destination folder – does it look like everything was copied? This will help you verify the process was successful. You can set up a different job for the days of the week, or have the destination alternate between multiple external hard drives. Because the software is so flexible, you can do almost anything. The last step is to change the program settings to make sure the program is always running so it can backup at your schedule. 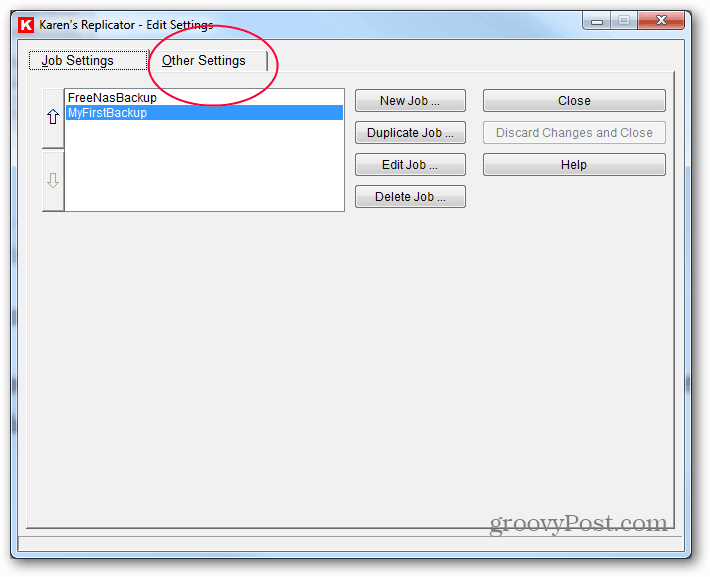 Click Edit Settings. Click the tab for Other Settings. Here you need to check some boxes to make sure the program starts correctly but also stays out of our way. Check the boxes for Launch the Replicator each Time. Also the two below it. The last box to check is the Warn Me if I Exit Program While Jobs are Scheduled. If any of the other boxes in the Miscellaneous section are checked, uncheck them. These settings, when combined, will make sure the program starts when you log in to your computer but also hides in the system tray. Once it’s running, if you try and close the program or restart your computer, it will warn you that it can’t backup when closed. It’s a nice reminder to have. You’re done! This program has been around for years, but I trust it on my systems, and it’s free. It has several other advanced features and I encourage you to explore too. Thanks for the info on Karen’s Replicator. I use some of her tools, too. Are you aware that she passed away awhile ago? Maybe a year or more? It is nice that her website and programs are still available. I’ve been using karens replicator for years now, and it sad to hear that she has passed away. 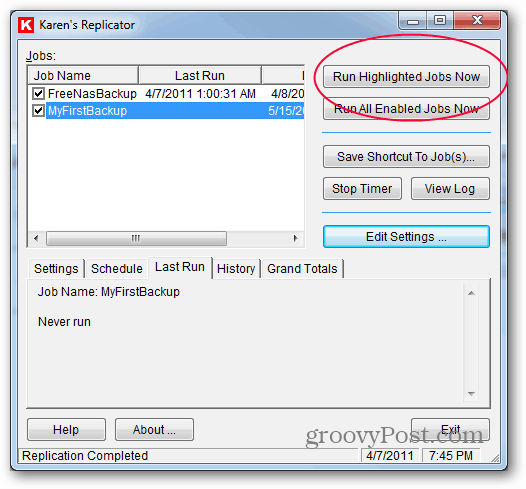 Karen replicator for mac does it exits ?